A former CIA operative who recently shared an anti-Semitic article on Twitter about American Jewish influence on foreign policy will be appearing next month at Smith College, to lecture on the topic of "Social Media and U.S. Foreign Policy." 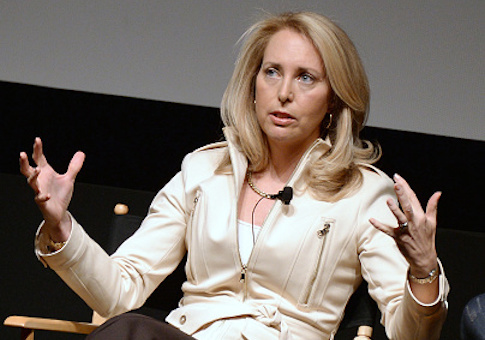 Valerie Plame Wilson has been invited by the Kahn Liberal Arts Institute of the Massachusetts women's college to speak on Dec. 11 at a 400-seat on-campus auditorium. "Occasional visits by outside experts around the world are essential components of Kahn Institute long-term projects," wrote the Chronicle. James Kirchick, a visiting fellow at the Brookings Institution, compared the Plame invitation to Smith hosting theoretical events featuring "Harvey Weinstein on gender equality, Richard Spencer on American race relations, and Donald Trump on Social Media and U.S. Foreign Policy," in his column at the online magazine Tablet. Plame Wilson's Twitter account has been silent since Sept. 24, when she apologized for sharing an anti-Semitic article, titled "America's Jews Are Driving America's Wars." The article advocated labeling American Jewish political commentators as such when they appear on television, like a "warning label on a bottle of rat poison." Plame Wilson initially defended the article as "provocative, but thoughtful." She later wrote that she "messed up" and had only "skimmed this piece." Plame Wilson resigned from the board of Ploughshares Fund, a nonprofit that promotes nuclear disarmament, as a result of the incident. She remains listed as a "movement leader" for Global Zero, another anti-nuclear proliferation organization. Her position on the advisory board of the Penn State School of International Affairs appears to have ended before her controversial social media activities. In August, she launched a much hyped campaign to buy Twitter and ban the president from the platform, though the operation seems to have stalled. The Go Fund Me page for the campaign reports $89,365 raised of its $1 billion goal, and notably, Plame herself appears to have donated no money. The Smith College lecture will reportedly also feature Paul Musgrave, an assistant professor of political science at the University of Massachusetts, though the official Smith calendar only mentions Plame Wilson. Plame was outed as a CIA official in 2003, which led to the trial and conviction of Bush aide Scooter Libby. Smith and Kahn Institute officials have not responded to a request for comment. This entry was posted in Culture and tagged Valerie Plame. Bookmark the permalink.